In easy-to-follow, step-by-step detail, Drawing Dragons teaches you all the tricks and techniques you’ll need to create your own amazing dragons. You’ll discover how to draw all types of dragons using nothing but a pencil. 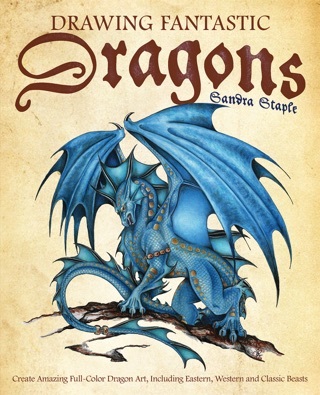 Drawing Dragons shows how to bring to life fierce warriors and bearded ancients as well as baby hatchlings and protective mothers. It also features a special section on adding claws, scales, horns, jewels and other unique details to your dragons. I can now draw dragons. Something I never thought I would ever be able to do well. Thanks Sandra. You are amazing, awesome, and a million other thumbs-up adjectives that I can't think of right now. 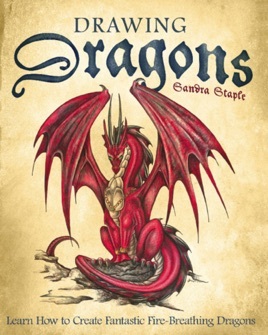 This is an amazing book for any dragon artist out there! It had everything you will ever need to know about drawing a dragon, this book will not let you down.